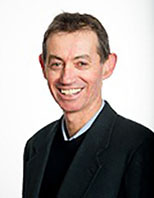 Mel Fitzpatrick is a climate scientist and educator. 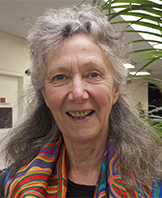 Much of her work over the last two decades has concentrated on effective communication of climate science to both policymakers and the general public. A specialist in polar and alpine research, Dr Fitzpatrick has worked for the Australian Antarctic Program, the US Antarctic Program, and in the Department of Earth and Space Sciences at the University of Washington in Seattle. She earned a PhD at the University of Washington researching the interaction between sea ice, clouds and climate. 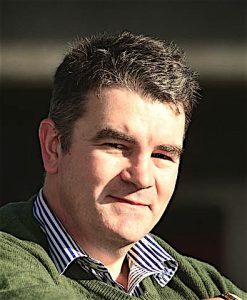 Dr Fitzpatrick was an expert reviewer for the Intergovernmental Panel on Climate Change, contributing to the reports in both 2001 and 2007. She worked for six years at the Union of Concerned Scientists, a US based non-profit that plays a key role in ensuring sound science informs policy. With a small team, she developed a series of climate impact reports for a dozen U.S. states, including outreach and education of climate impacts in coastal and mountain areas. Mel has recently returned to Tasmania and continues to be passionate about bridging science and policy. Brett is an experienced company director and has worked across many areas within the agricultural sector. He is skilled in rural development, sustainable agriculture, strategic planning, and natural resource management. He is professionally educated having an MBA, and is a member of the Australian Institute of Company Directors. 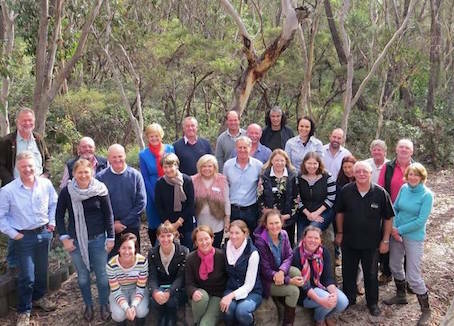 In the climate space Brett, along with other Tasmanian farmers (Farmers for Climate Action), has been active in highlighting the challenges that climate change is imposing on rural producers and the need for appropriate government policy. Dr John Hunter is a climate scientist working in an emeritus position at the Antarctic Climate and Ecosystems Cooperative Research Centre, based in the University of Tasmania. His current interests are the sea-level rise induced by climate change, and the response of Antarctic Ice Shelves to global warming. John’s interest in sea-level rise was initially stimulated in the mid-1990s by his work (with others) on the historic sea-level mark at the Isle of the Dead, Port Arthur, which indicated where sea level was in 1841. This was one of the first such marks struck anywhere in the world for the scientific investigation of sea level. 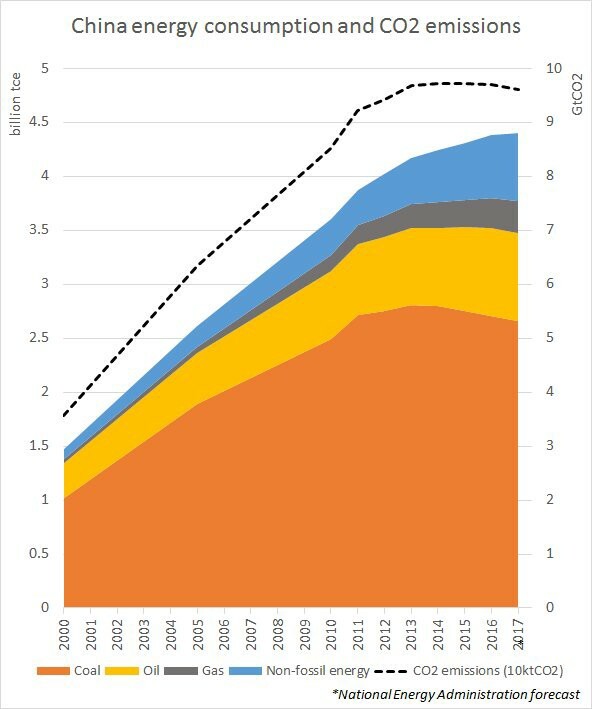 Recent work has involved investigations of sea-level rise in Australia, the U.S., and in the Indian Ocean and Pacific regions, and the way in which this rise increases the frequency and likelihood of flooding events. He was the original developer of the “Canute” sea-level rise decision-support tool (see sealevelrise.info). 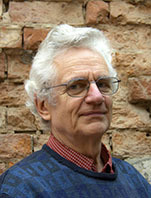 In recent years he developed a method of deriving sea-level planning allowances based on projections of sea-level rise and present storm-tides; the techniques has been used in Tasmania, Victoria and more widely around Australia and Canada. He has a keen interest in seeing that the science of climate change is accurately communicated, not distorted by the so-called “climate skeptics” and is appropriately incorporated into public policy. 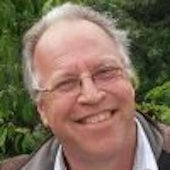 Donald Coventry has 27 years senior executive level experience in both the arts and the environment/natural resource management (NRM) in Australia. He has twice been a public art gallery director (Latrobe and Cairns), a radio station manager (3MBS-FM), CEO of the national scientific research and conservation organisation Birds Australia (now Birdlife Australia), CEO of Southern Gulf Catchments in Queensland, a Regional Director for the Department of Primary Industries in Victoria, and is currently CEO of NRM South in southern Tasmania. He has extensive knowledge of catchment based NRM planning, project development and management, environmental management and sustainable agriculture. He recently graduated from Monash University with a Masters of Environmental Science, via a research thesis focussing on Oil Vulnerability and Agriculture. 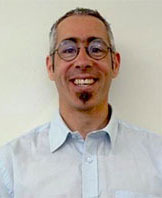 James Risbey is a Senior Research Scientist with CSIRO Oceans and Atmosphere working in the Decadal Dynamics group. 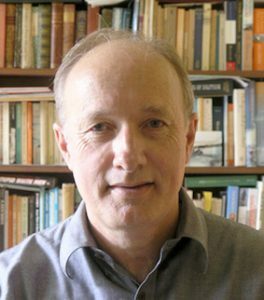 James received his Ph.D. in climatology from the Massachusetts Institute of Technology and has worked on climate variability and change issues in the US, the Netherland and Australia. in the characterisation and communication of uncertainty in science, and on quality assessment of climate models. Brook Dambacher holds a Bachelor of Laws and a Bachelor of Science from the University of Tasmania, specialising in international law. She was involved in the negotiation of the Paris Agreement on climate change in 2015 and has since attended climate negotiations as part of ongoing work as a research and media support consultant to the Least Developed Countries Group – a negotiating bloc of the 47 poorest countries under the UN Framework Convention on Climate Change who are particularly vulnerable to climate change impacts. Brook is a co-founder and convenor of the International Justice Initiative – a platform for students to gain practical experience through providing pro-bono advice to support developing countries in the UN climate change negotiations and other international fora. 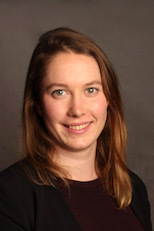 She has also served as the President of the Student Environmental Law Society and as Social Justice and Equity Officer to the Tasmania University Law Society. David Hamilton is an energy consultant (Hamilton Energy Consulting) and an executive of Dorset Renewable Industries based in NE Tasmania – a community focussed enterprise aimed at developing new industries for the locality, utilising the region’s renewable resources in ways that enhance community resilience and improves the environmental sustainability. By training, David is an occupational hygienist and has experience in government, consulting and industry. His industry experience was in coal liquefaction and in the oil and gas sectors. 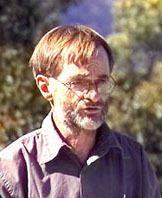 He is inaugural convenor of the Tasmania North Branch of the Alternative Technology Association. Dr Nick Towle is a Medical Doctor based in Burnie with an active interest in sustainability and climate change. He is a lecturer at the University of Tasmania, Rural Clinical School where he is also a sustainability representative. 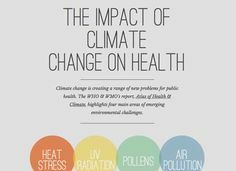 oil on the health of individuals and communities and positive adaptive responses to these global challenges. Nick also has training in Home Sustainability Assessment. Nick has been active in Doctors for the Environment Australia as a Committee member over several years involving policy development and advocacy on national environmental health issues. He is a presenter with the Al Gore Climate Reality Project. In addition to public presentations he has lead a range of school and home sustainability projects. Peter Boyer is a journalist who specialises in science communication, mainly in the area of climate science and is an Al Gore team leader. He writes a regular column on climate change for the Hobart Mercury. Peter Boyer was awarded an Order of Australia Medal in 2014 for his service to environment, particularly in the field of climate science. Peter had joined the staff of the Australian Antarctic Division in the late 80s, and there developed an appreciation and affiliation with the science community. 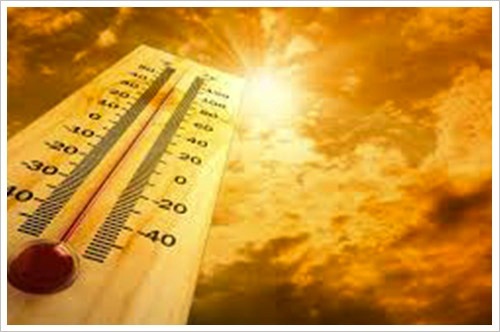 In this role Peter became increasignly concerned with the emergent climate trends. In 2006, he was selected as one of only 84 people to attend the first Climate Reality training session with ex US Vice President Al Gore. Mark Horstman is an experienced science communicator, with particular interest in climate change policy and Antarctic/Southern Ocean research. 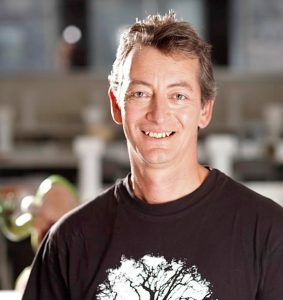 A graduate in zoology and tropical ecology at James Cook University, for more than a decade he worked on land and sea management in Northern Australia with the Cape York Land Council, the Australian Conservation Foundation, the Queensland Premier’s Department, and the Kimberley Land Council. Joining the ABC as a cadet science journalist in 2002, he made award-winning stories for Catalyst and Radio National from Australia, Antarctica, and the Asia-Pacific region. 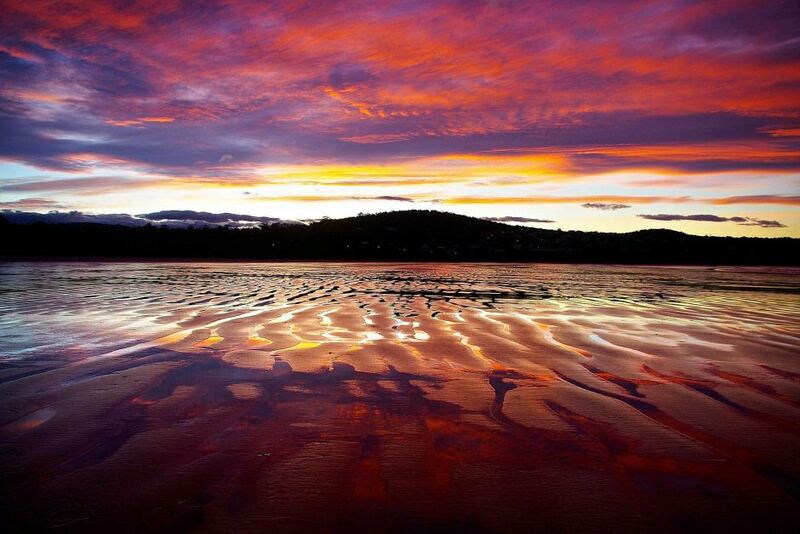 Now based in Hobart, he works as a freelance science journalist and producer. Mark is a board member of the Bob Brown Foundation. 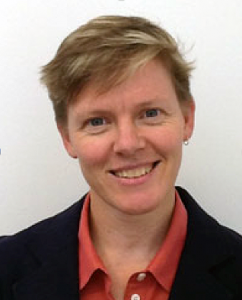 Jess Feehely is a solicitor, currently working as the principal lawyer at the Environmental Defenders Office Office (Tasmania). 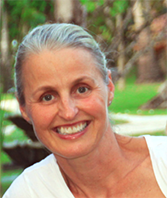 She has previously worked as legal advisor for the Wantok Environment Centre in Vanuatu and as an Environment and Planning solicitor in private practice. Jess is a founding member of the Tasmanian Coastal Alliance. In addition to holding a Bachelor of Laws with first class honours, Jess has a bachelor of Environmental Science, majoring in social policy and development. In her current role she provides advice on environmental and planning issues, undertakes community legal education activities and advocates on environmental and planning law reform. Chris Harries is an environmental educator working in the non-government sector and has extensive experience in managing award-winning sustainable energy, energy conservation and behaviour change programs. of a network of ‘sustainable living’ communities in Tasmania and in the implementation of suburban rooftop solar projects. 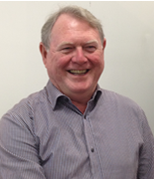 He is a trained Home Energy Assessor and is the author of the ever popular Tasmanian Home Energy Guide. Chris is an active member of the Peak Oil Tasmania Education Committee. He has participated in Australian Government and State Government sponsored sustainability projects and recently spent two years assisting a provincial empowerment program in Papua New Guinea. Margaret provides secretarial and logistic support for Climate Tasmania. Former CEO of Sustainable Living Tasmania, Margaret has extensive experience in environmental education, community development and management of numerous environmental projects and programs. of Tasmania Faculty of Law in 2011, she was Director of Griffith University’s Climate Change Response Program, and led Griffith’s successful bid to host the National Climate Change Adaptation Research Facility (NCCARF). 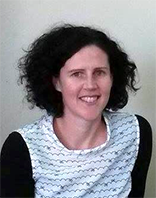 As NCCARF’s Interim Director, she worked with researchers and stakeholders across the country to identify Australia’s climate adaptation research needs in human health, settlements and infrastructure, emergency management, marine biodiversity and resources and terrestrial biodiversity. has consulted to local and State government, non- government organisations, and the governments of Solomon Islands and Vanuatu. Her current research spans the legal and policy dimensions of climate change adaptation, including urban planning and coastal management, liability and insurance issues. Phil Harrington manages the professional services consulting agency Policy. Research. Pty Ltd (SPR) and holds degrees in Arts and Applied Economics. He has been engaged in climate change and energy policy development, analysis and administration for nearly 30 years in a wide range of professional capacities. • Group Manager, Market & Regulatory Policy, Aurora Energy. He has recently prepared an Energy Efficiency Master Plan – Foundation Report for the City of Sydney; a solar access study for the City of Melbourne; has been called as an expert witness to VCAT to establish the economic bona fides of Environmentally Efficient Design planning policies on behalf of six Melbourne councils; and has completed a major national review of compliance with the energy performance requirements of the National Construction Code. Phil is also an active member of Climate Action Hobart. Ouse farmer, Matthew Pitt, has farmed in the Derwent Valley for thirty years, grazing and cropping on the Pitt family property that was originally established in 1850. 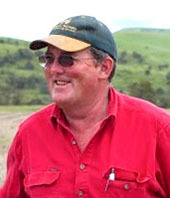 More recently he has been contracting on properties with a focus on increasing minimum tillage using cropping systems. Matthew has been leading from the front by developing a sustainable farming enterprise that promotes best practice natural resource management. As part of his work, Matthew has chaired the Upper Derwent Valley Landcare Group, the Derwent Valley Catchment NRM, Landcare Tasmania. He was appointed to the board of NRM South, has been active in the national Landcare Network and has been instrumental in developing the Derwent Catchment Management Plan. As part of the Climate Champions program he worked to improve communication between the Bureau of Meteorology and the farming community and has been working to ensure that research matches needs in terms of sustainable farming practices. David Sanderson has extensive experience throughout Australia in the viticulture industry, most recently as Industry Development Officer at Wine Tasmania. He has utilised his professional training to understand and manage all aspects of agricultural production, including uncertainties brought about by climate change in the Tasmanian setting. David obtained a science degree at the University of New England, specialising in Entomology, Ecology and Agronomy. David’s addition to the Climate Tasmania team has provided valuable insights into information systems and adaptation techniques that are needed in farming enterprises.